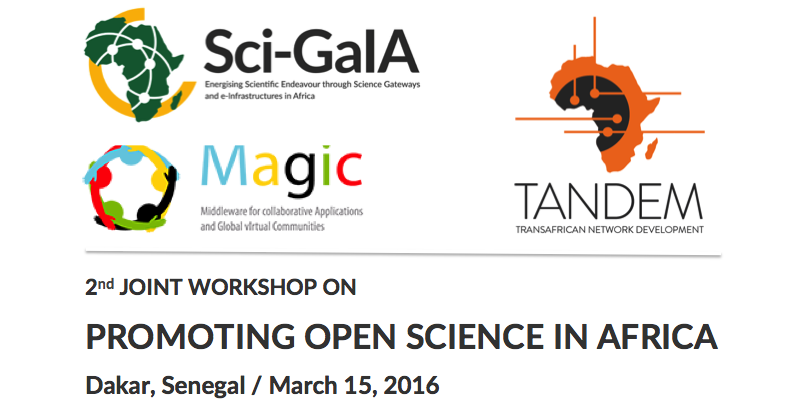 The second joint Sci-GaIA-TANDEM-MAGIC workshop is organised with the support of the European Commission (EC, DG CONNECT) and in conjunction with the WACREN 2016 Conference. There is a huge amount of scientific work conducted across Africa on a daily basis. The outputs of this research (publications, grey literature, data, software, analysis, etc.) can have a major impact across the world. UbuntuNet-Connect is the Annual Conference of UbuntuNet Alliance that focuses on research and education networking activities in Africa. It is organized by UbuntuNet Alliance and hosted by member NRENs. The Conference brings together practitioners in the research and education networking community, researchers, policy makers, academicians, connectivity providers, and a pool of expertise from across Africa and beyond.